Bangkok is an intimidating city when it comes to planning. 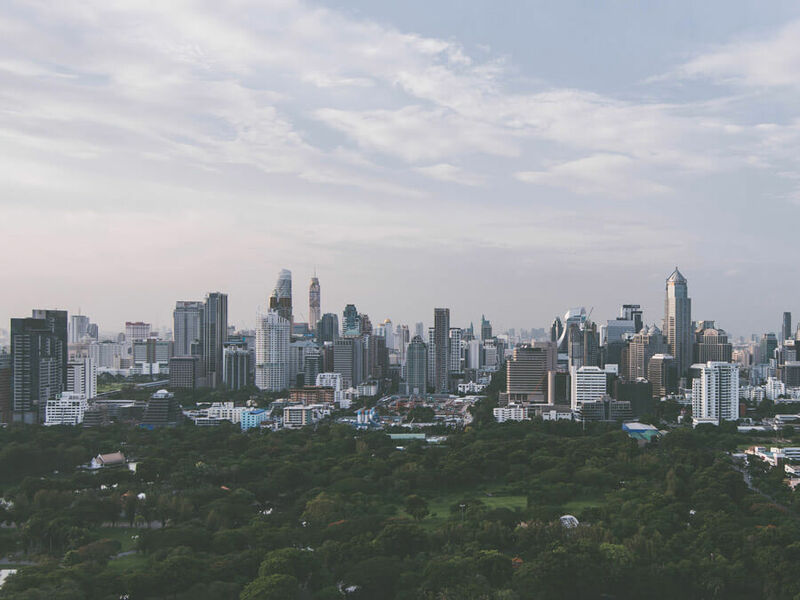 Often times it is the first place visitors come to in Asia and it can seem like a daunting task to find places to stay in Bangkok. How do you know what area to stay in? How expensive are hostels? Is public transportation reliable? Luckily this article will break it all down for you and cut out some research time. Hostels are the most expensive in Bangkok compared to the rest of Thailand but they are still easily affordable compared to western standards. You’ll still be able to have a low-cost Thailand trip. Public transportation is very reliable so no matter where you are in the city as long as you are close to the Sky Train or the MRT (subway) you will be able to get where you are going for cheap and in air conditioning. These 10 best hostels in Bangkok are scattered across the city in the best areas so you will be able to find the perfect Bangkok accommodation in the top area for you on your Bangkok trip. Hostel prices in Bangkok vary and generally, it is a more expensive city than others in SE Asia because it’s a major city. You can still find cheap hostels in Bangkok and any hostel accommodation here won’t break your budget. Hostels on average range from $7-$15. Bangkok is a massive city so deciding which area to stay in can be difficult. However transit in Bangkok is quite good so you won’t have issues getting around the city. 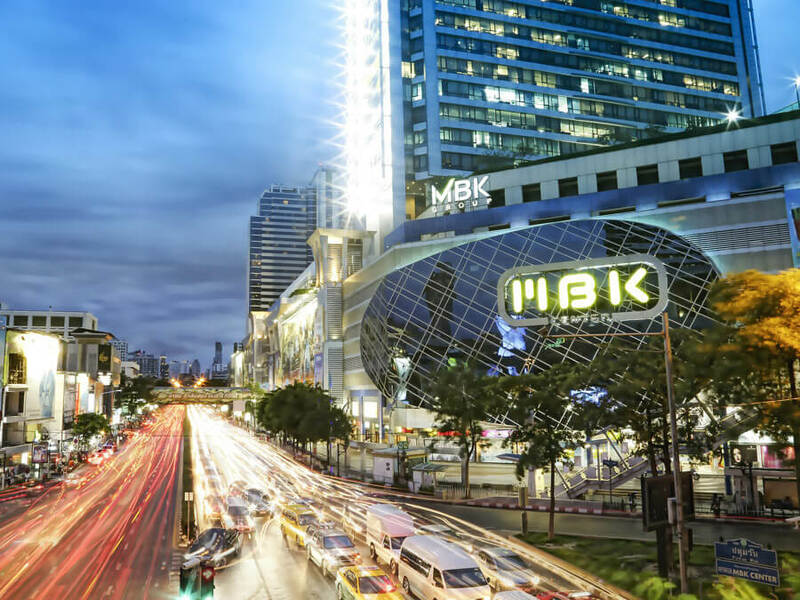 Backpackers in Bangkok have so many choices that my best advice is to decide what you’d like to be closest to: shopping, partying, major cultural sites or the airport. You’re going to have to travel regardless so just pick where is most important for you to be close to. 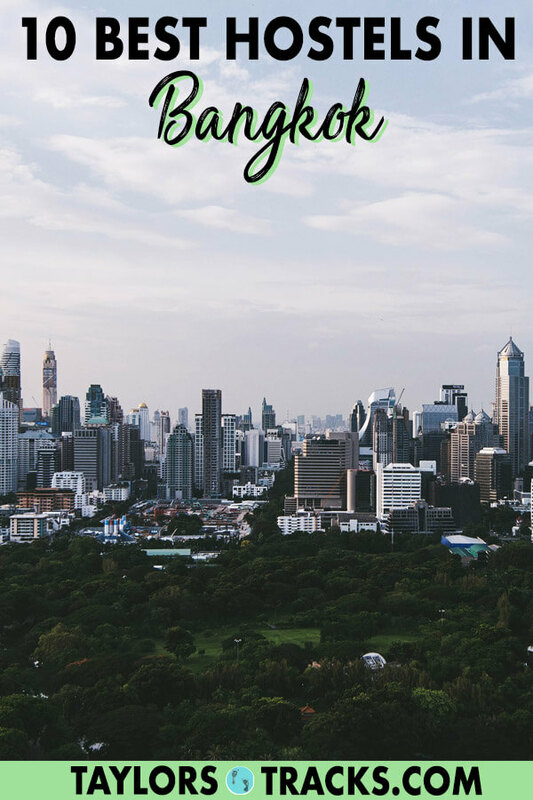 Below I’ve detailed where to stay in Bangkok based on your travel preferences. 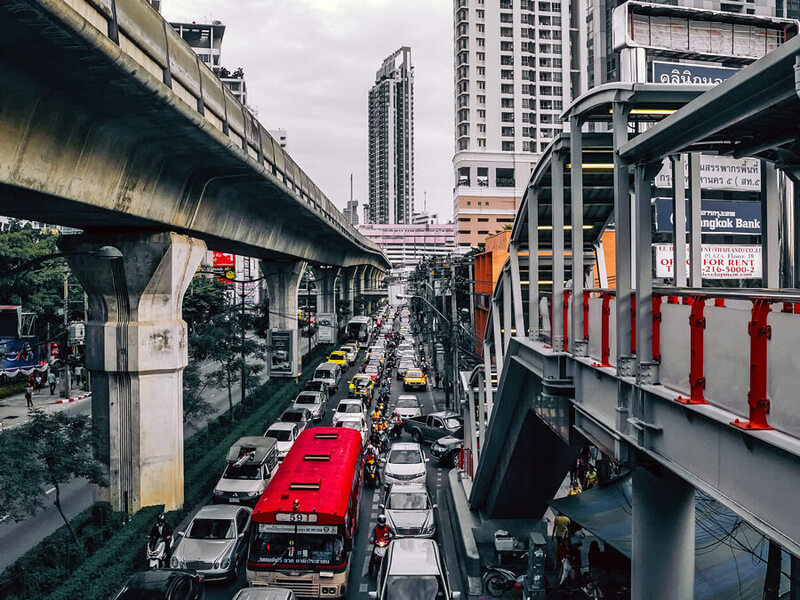 Sukhumvit: This is the main street in Bangkok and the area of Sukhumvit usually refers to the area between the Nana and Thong Lo Sky Train stops. This area is centrally located and never far from public transport making it easy to get anywhere in the city. It’s popular for western expats and is one of Bangkok’s most modern areas. It lacks traditional Bangkok attractions such as temples but makes up for it with the amount of international food and clubbing scene. Stay here if: You love a good night scene, food and shopping. Khao San: This area is famous because of Khao San Road, known as the top backpacker destination in Thailand. It is a busy area with parties every night, plenty of street food and market shopping. The area is also home to some of the most popular tourist attractions in Bangkok such as The Grand Palace and Wat Pho. Stay here if: You’re on a budget and love to party. Silom: This area is another popular spot for tourists. 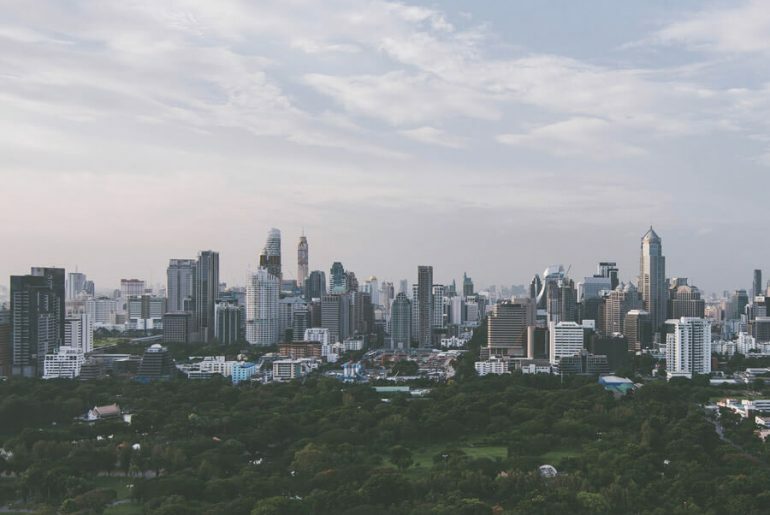 The main attractions here are Lumpini Park where locals and tourists alike love to hangout for a bit of greenery among the skyscrapers. Patpong night market is also a place to check out for some cheap shopping. It’s also where the Sky Train and MRT cross so public transportation is widely available to get to other areas of the city. Stay here if: You want a break from the city or to experience Bangkok’s exotic nightlife. Siam: Siam is the place to be if you want to do some Bangkok shopping. Even the locals go to Siam to shop their hearts out. It is also a popular area for more tourist activities that aren’t traditional Thai sights such as ice skaing, Madame Tussauds and movies. Thai boxing is also here! Stay here if: Your main mission in Bangkok is to shop or you want to stick to mostly western food. Ari: Ari is a more up and coming area in Bangkok known for its mixture of hipsters and upscale residential areas. It is off the beaten path for Bangkok and offers a quieter option to the hustle and bustle. Ari is filled with local boutique shops, fabulous Thai food and plenty of cafes. It is also only 2 stops away from the famous Chatuchak market which you can not miss while in Bangkok. Stay here if: You want a quiet area and to experience a less touristy spot of Bangkok for an authentic experience. Chinatown: Chinatown in Bangkok is like none you’ve ever seen. It is the biggest Chinatown in the world and is famous for its street food. It is also where the Bangkok Railway Station is located if you’re heading out of Bangkok! Stay here if: You love food or want to shop for gold. BKK: BKK is Bangkok’s International Airport so if you have an early morning or late night flight it is possible to find accommodation cheaply around the airport. Stay here if: You need to be close to the airport. When picking a hostel atmosphere is huge. Do you want a party hostel, somewhere you can chill out or somewhere that is super social? Bangkok has all of these options and you can find a hostel that is social without the crazy parties. Always read the most recent reviews. These are the best way to find out if a hostel is really for you. 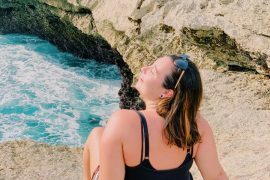 Hostelworld has reviews for every hostel and I highly encourage you to check them out. Disclosure: This post contains affiliate links which I earn a small commission from and are at no additional cost to you and help keep this site running. 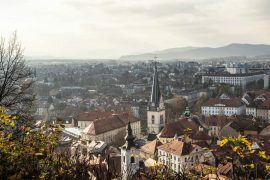 All images used in this article are from Hostelworld. This little oasis is nestled in a corner with an outdoor terrace and plants growing around you while you enjoy breakfast. But at night it turns into a party scene with games. The location itself is quiet but there is plenty of action within walking distance. Public transportation is a 10-minute walk away. This Bangkok backpacker hostel is my favourite hostel in Bangkok. Weekly and monthly events are held here which is a great way to meet new people. The dorm rooms are small if you prefer to get a quiet night in but are still affordable. There is a rooftop terrace and bar on-site. Khao San Road hostels are a dime a dozen, but this is one of the top hostels in Bangkok. This hostel is known for its chilled out vibe and was voted the best hostel in Asia in 2011. It’s just 2 blocks away from Khao San Road and is within walking distance of The Grand Palace and Wat Pho which are must-sees in Bangkok. Mad Monkey may be a new Bangkok hostel but it is not new to the hostel scene. Mad Monkey has amazing hostels in Cambodia and the Philippines with superb staff and clean accommodation. If you’re looking for a good social scene, to party and love a swimming pool then this is the place for you. Equipped with many places to sit and meet other travellers, an on-site bar and happy hour, Lub d Bangkok Silom is a great place for travellers to explore the surrounding area and other neighbourfoods with public transit being only a few minutes walk away. Each bed has its own locker, shelf, outlet and towel rack. This hostel offers some of the best beds in Bangkok and high speed internet in a central area of the city. Breakfast is included, the hostel is super clean and the staff is always there to help. For those who love their modern amenities and comfort but still want to be close to the action, Bed Station Hostel is ideal. This hostel has free breakfast and Wi-Fi, a personal locker and is still only a short taxi away from the action on Khao San Road. A Sky Train station is literally outside the doors for easy exploration of Bangkok. It has amazing amenities such as a locker, power outlet and towel rack for each bed. There are areas to hangout and meet others both inside and outside plus a variety of drinks are served at the bar. This hostel you consistenly see as one of the best hotels in Bangkok. It’s a quiet oasis away from all of the noise but is still close enough to be able to see all of what Bangkok has to offer. Chill outside, meet travellers, swing in the hammocks and grab a beer because you’re going to want to stay a while. This stylish hostel is only a 10 minute walk from public transporation and the main train station that will take you all over the city. It’s the only hostel to have a swimming pool in the area and has self check-in kiosks, so no waiting in line to check in! Free Wi-Fi, close to the airport, river views and shuttles to get to the airport. Everything you needs to an easy transition from accomodation to travel. There are a few hostels near Bangkok airport, this one is one of the best.